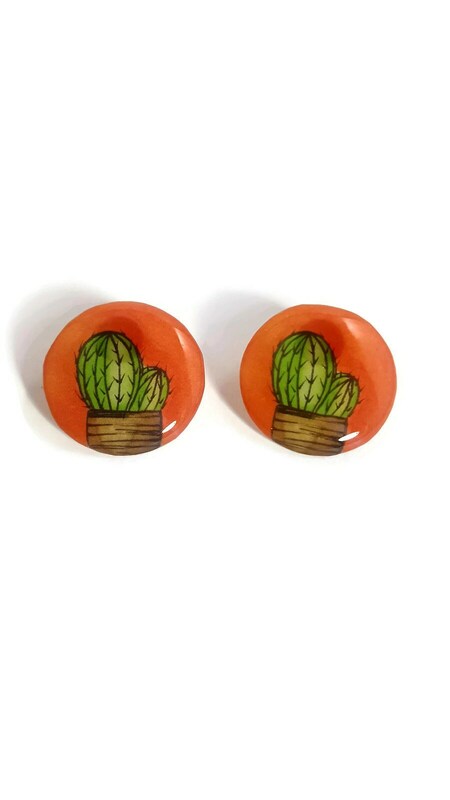 This cute cactus illustration on paper is domed with resin for shine and durability. The earring is very thin and lightweight. Item is shipped withing 3-5 business days. Custom order are welcomed and they must be paid in full at the time of the order.